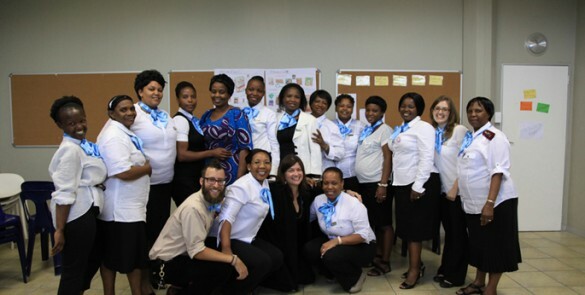 Vanderbilt Medical Scholars Program participant Jordan Cohen, front row, left, worked with the HIV monitoring program Females Rising Through Education, Support and Health in South Africa. Applicants to the Vanderbilt Medical Scholars Program, a yearlong, in-depth research experience, have been successful in obtaining both internal and external research funding this year. Sixteen medical students will take one year off from the standard Vanderbilt University School of Medicine curriculum in the upcoming academic year to explore their research interests. The projects are as varied as the backgrounds of the students participating. The Vanderbilt Medical Scholars Program, created in 1998, supports students between their third and fourth year of school. All students are also encouraged to co-apply for external research funding. 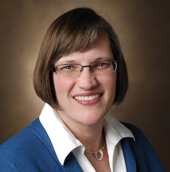 “This year was particularly successful for Vanderbilt students, with the largest number ever receiving outside funding from prestigious sources,” said Lorraine Ware, M.D., professor of Medicine and director of the program. Nine students received external funding from the American Heart Association, Doris Duke Charitable Foundation, Howard Hughes Medical Institute, National Institutes of Health and the Sarnoff Cardiovascular Research Foundation. Seven students will be supported by internal funding. Jordan Cohen’s year of research took him to South Africa, where he participated in Females Rising Through Education, Support and Health (FRESH). The HIV monitoring program enrolls HIV-negative women at risk for infection into empowerment courses. Participants agree to twice weekly blood testing and in return they engage in a weekly, three-hour, life-skills education curriculum that includes computer classes, job readiness preparation and counseling. “When I first started medical school, I was very interested in infectious diseases, community development and empowerment,” said Cohen. “I also spent some time in Kenya focused on the same issues. What my time in South Africa did was allow me to have a broader perspective on health care and the impact I can have. Cohen, inspired by his hands-on community experience, wants to go into emergency medicine. The Medical Scholars Program works hand-in-hand with VUSM’s teaching model, Curriculum 2.0, which fosters a life-long learning process. Vanderbilt’s program is funded through the institution, said Ware, providing research stipends to as many as eight students per year. The program also receives additional monies from the National Institutes of Health in the way of three partially funded scholarships. “The success of our applicants this year speaks to the quality of our students,” Ware said. “It speaks to the quality of the research mentorship that is available here and it also reflects the emphasis within the school on training future leaders.